Welcome to the Days Inn Castaic, CA. We are conveniently located off I-5 in close proximity to Six Flags Magic Mountain, Castaic. Whether on business or pleasure our clean, quiet, safe property is sure to please. We offer such amenities as. 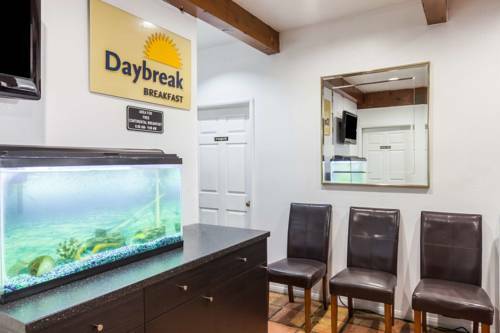 Complimentary Wireless High Speed Internet Access, Complimentary Daybreak Breakfast, USA Today, etc. Business Center available. Mysterious folk art environment, statues built by John Ehn, "The Old Trapper."